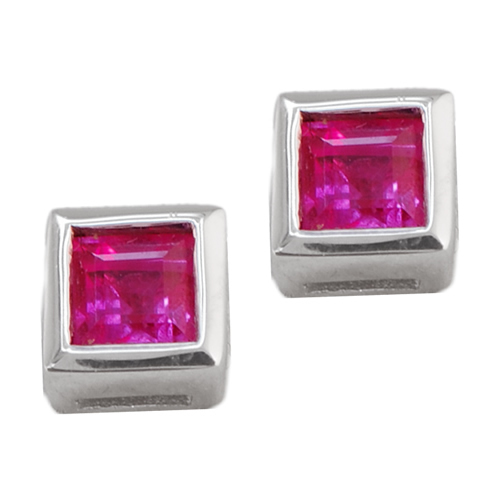 Beautiful square cut rubies are bezel set. 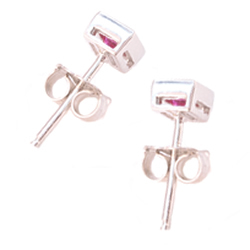 Rests close to the ear lobe and can be worn everyday. 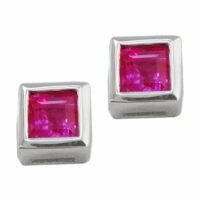 Gemstones: 2 square rubies weighing .40 carats total.